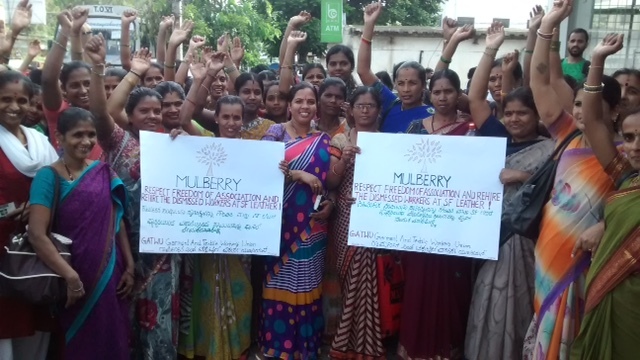 Victory in Turkish Mulberry Supplier! 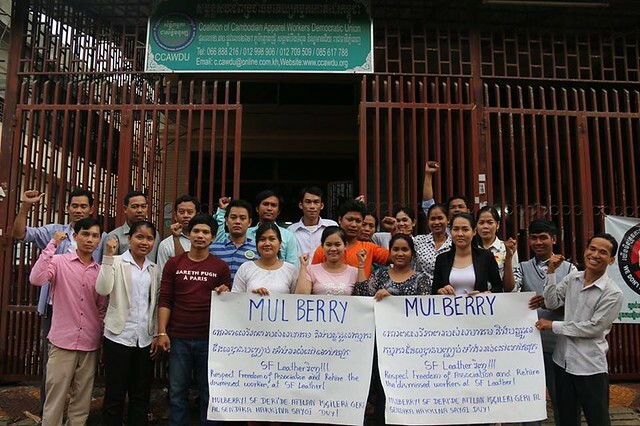 Victory for Turkish Union League Member at Mulberry Supplier! 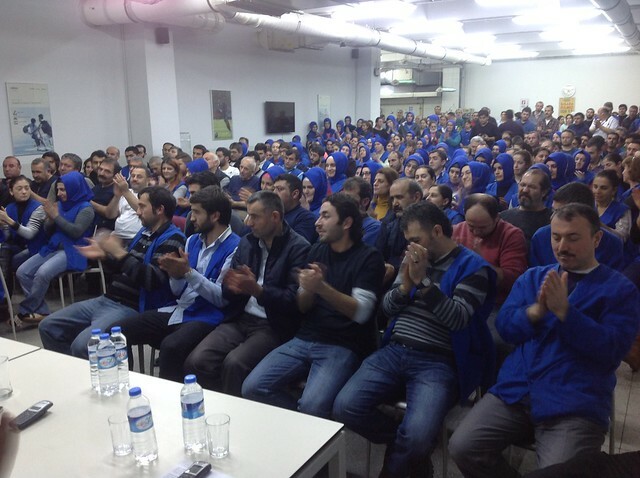 In a tremendous victory for Turkish Union League member Deriteks Sendikası, workers at SF Leather factory in Izmir, Turkey held their first hard-fought victory meeting at 10 am this morning with union representatives inside of the factory to discuss the workers' rights to unionize, after management had previously staged a heavy-handed anti-union campaign, telling the workers they would never allow a union into the factory. 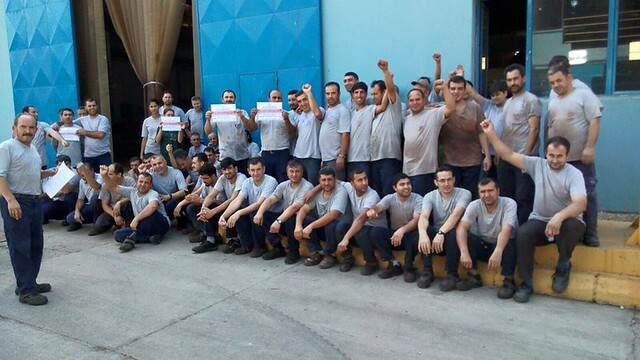 After a 9-month organizing campaign by Deriteks Sendikası at the Mulberry supplier factory, workers won a hard-fought victory by directly challenging the buyer brand to take responsibility for the conditions in its supplier! 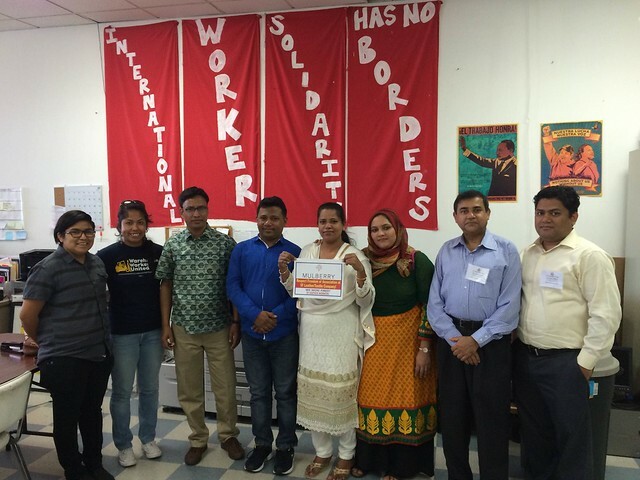 SF Leather factory workers began organizing at the beginning of 2015, but were hit hard when the employer found out about their unionization efforts. 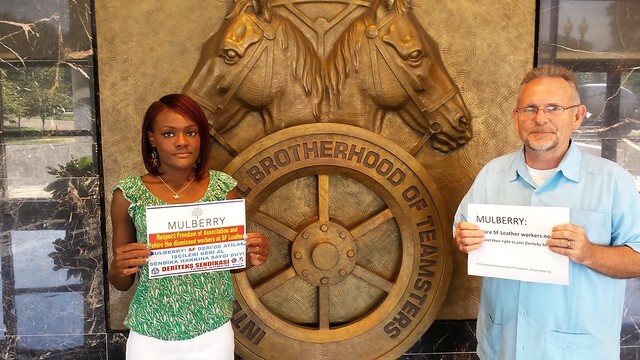 "I, along with 13 colleagues, was dismissed by my employer after I refused to give in to threats to stop organizing a union with my coworkers," said Mehmet Cin, a 5-year veteran of the company, "They tried to say it was because of performance issues, but at the same time they had just given us a performance-related bonus and a few days later told us we could come back to the company if we resigned our union membership. We refused." 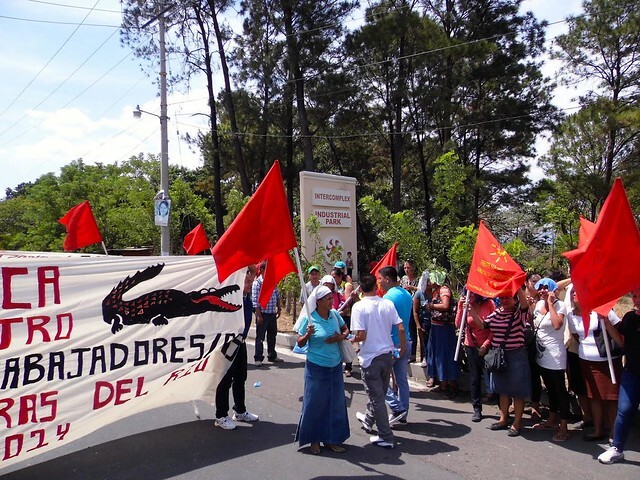 International Day of Action to Support Turkish Mulberry Workers! 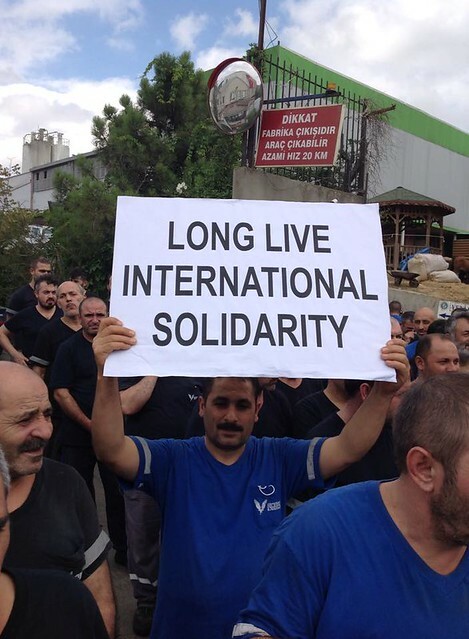 In Izmir, Turkey, workers at Mulberry supplier SF Leather have been fighting for union recognition for 6 months. 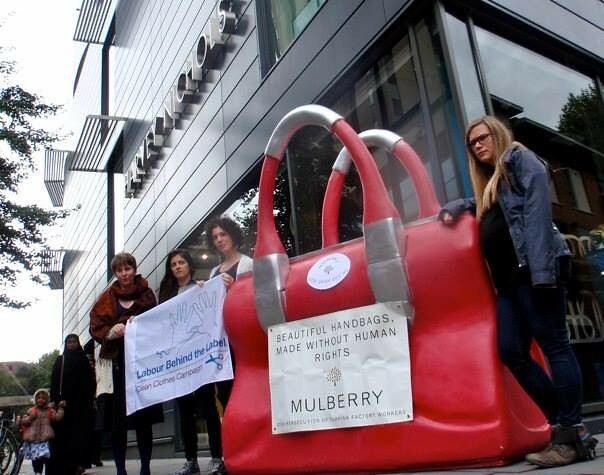 The workers, along with Union League member Deriteks Sendikası, called for an international day of action to call on Mulberry to follow their own "Global Sourcing Principles" and ensure that their workers have the right to organize! 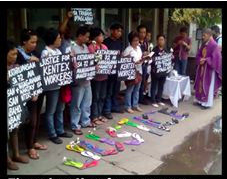 SF Leather workers in Izmir, Turkey call on Mulberry to respect their rights! 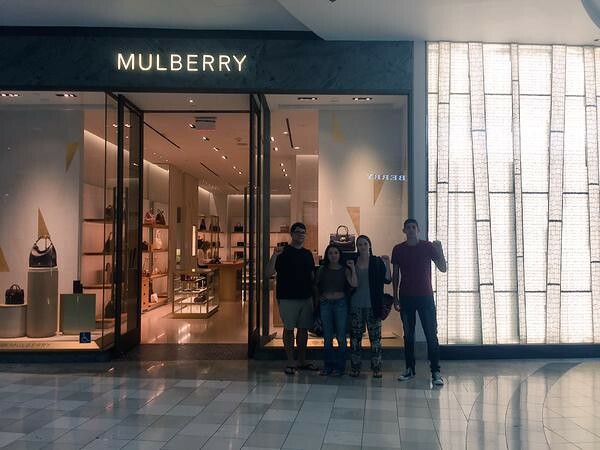 Workers United unionists deliver a letter of solidarity with SF Leather workers to Mulberry retail store manager in Cabazon, California in the United States. 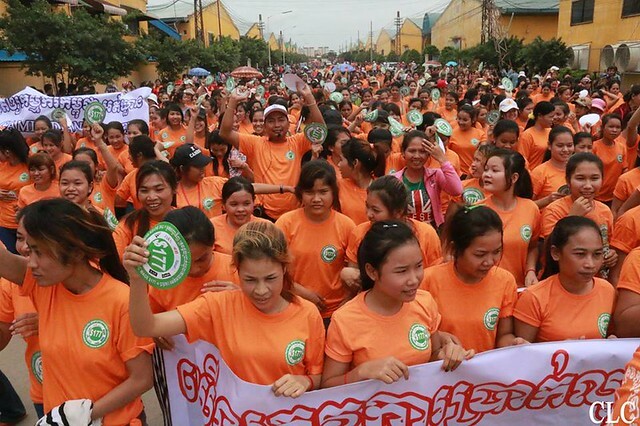 League member unions around the world celebrated May Day/International Workers' Day with militant actions, showing the brands the power they have to connect, organize, and grow globally! 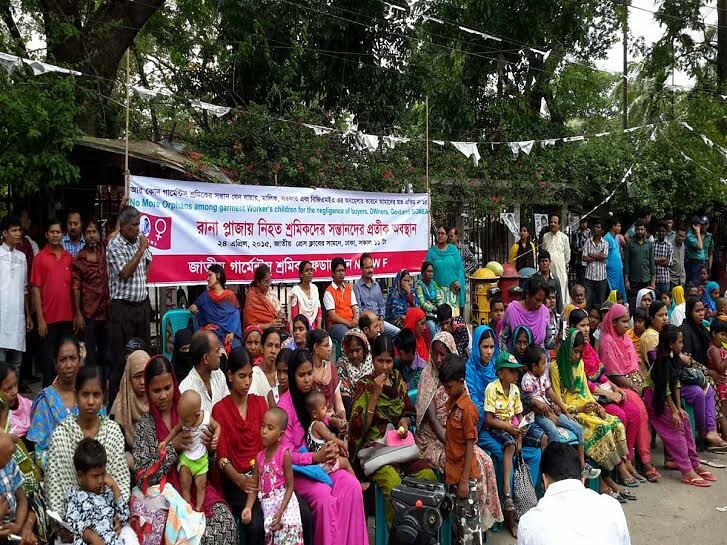 Staging a sit-in on the second anniversary of the Rana Plaza factory collapse that killed 1,138 garment workers, orphaned children of the murdered workers called for "No more orphan among garment workers' children like us for the negligence of factory owners, buyers, government & BGMEA!" Victory at Turkish Nike Supplier! 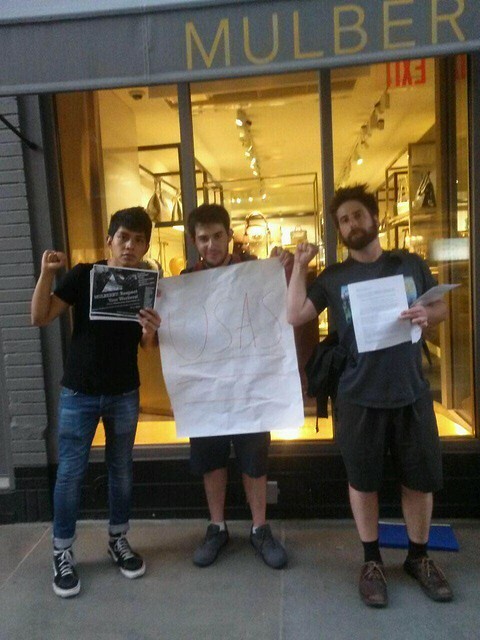 Deriteks union in Turkey, a League affiliate, has had a resounding victory against Nike and Adidas supplier ETF factory in Istanbul!